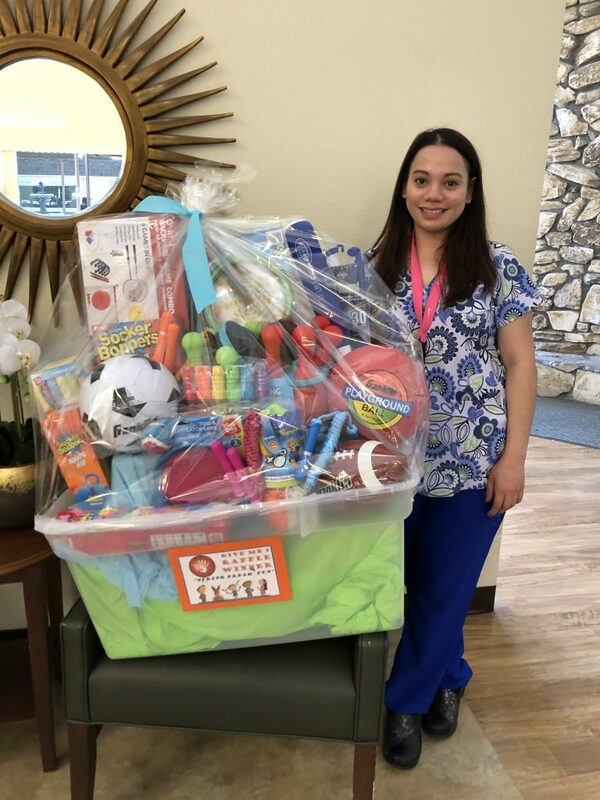 Congratulations to Emilie, winner of our April Give Me 5 Raffle Basket! Emilie was recognized by patient Sandra C. who states “My charge nurse is beautiful, charming, and SO SO GOOD! She is helpful explaining what meds she gives to me”. Emilie will enjoy a “spring break” fun filled basket.